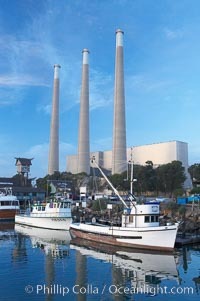 The Morro Bay Power Plant, with its distinctive three stacks, rises above fishing boats in Morro Bay harbor. Morro Bay. Power Plant Photo. 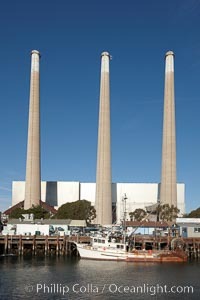 Morro Bay Power Plant stacks, each 450-feet tall, mark the Pacific Gas and Electric power plant. 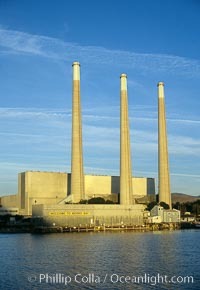 Power Plant Picture. 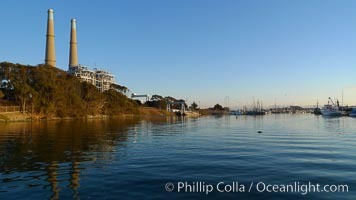 Moss Landing Power Plant rise above Moss Landing harbor and Elkhorn Slough. 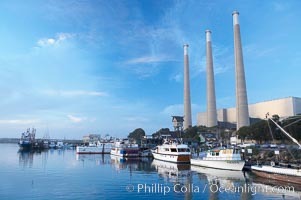 The Moss Landing Power Plant is an electricity generation plant at Moss Landing, California. 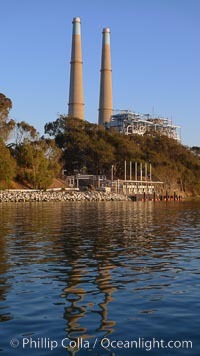 The twin stacks, each 500 feet high, mark two generation units product 750 megawatts each. 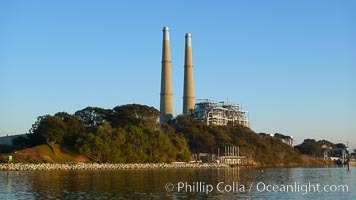 Power Plant Photos.